For many college students, spring break is a chance to take a much-needed vacation. Others may head home to visit their families and catch up on sleep. 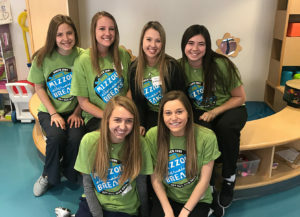 Several nursing students chose to use this year’s spring break to serve others throughout the country and across the world. Here are a few of their stories. 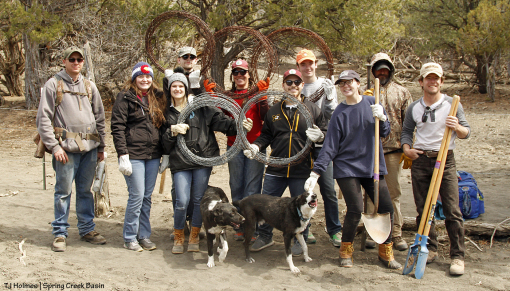 On her fifth Mizzou Alternative Breaks trip, Gracie was a site leader for an environmental service trip. Her team partnered with the San Juan Mountain Association to replace a rusty barbed wire fence that keeps wild horses in a safe region. They also helped with trail maintenance and trash clean up at the national parks. As a trip leader, Gracie also had to learn to handle unforeseen circumstances and plan changes. 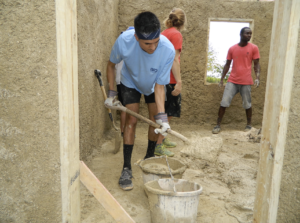 Jonathan and Megan were two of 60 Mizzou students who traveled to Harmons, Jamaica, with Veritas, a student ministry organization through The Crossing Church. The team built three homes for members of the community and spent time visiting patients in the infirmary, a home for those with physical and mental disabilities whose families could not care for them. While in the infirmary, Megan and Jon sang to the residents and applied lotion to their feet. Jon agrees – the infirmary experience pushed him to overcome insecurities to care for a patient in need. Gabby led a weekend trip to St. Louis Children’s Hospital. As the community service chair of the Student Nurses’ Association (SNA), she contacted Mizzou Alternative Breaks about a partnership. They agreed and helped organize a trip for students who are in SNA. The students visited with children staying in the hospital, leading them in arts and crafts and playing with them. They also visited Avalon Gardens, a nursing home in St. Louis, to play bingo with the residents and shadow staff nurses. Along the way, Gabby says she grew in her conviction that a career in nursing was for her.